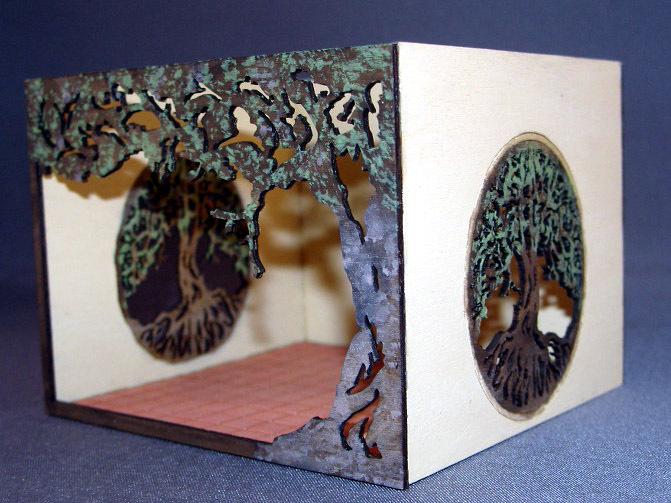 This laser cut kit has very detailed designs etched into the chair backs and table top. 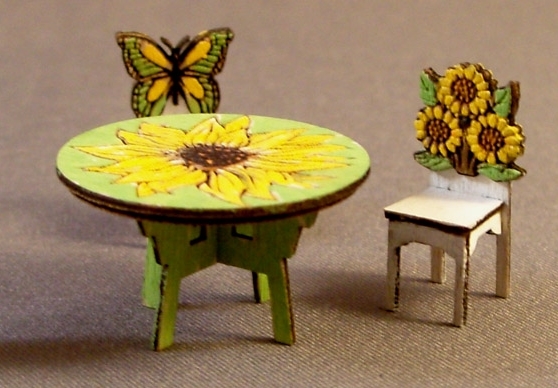 They can easily be painted with a tiny brush of sharpened toothpick. The kit comes with two chairs. 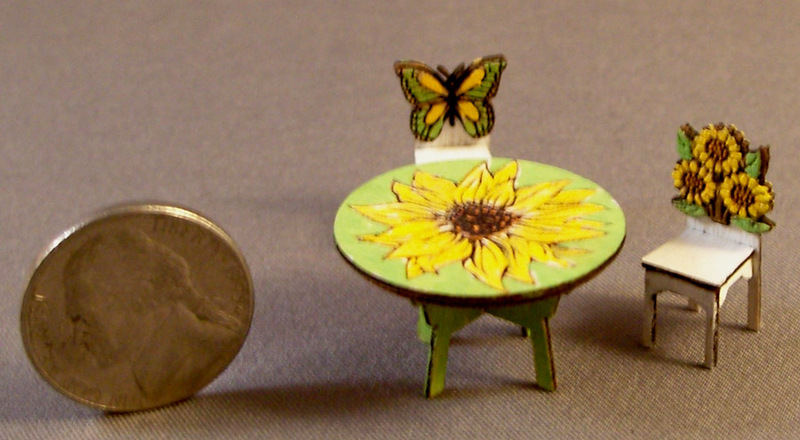 (picture of kit shows optional butterfly chair, this kit ships with TWO sunflower chairs, not one of each), half scale.